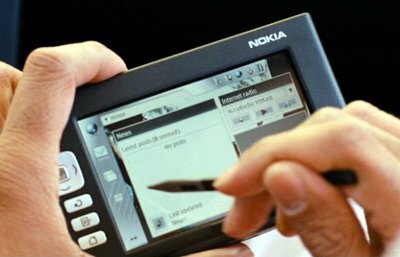 This is an "internet appliance" from Nokia - a wireless computer primarily designed for wireless internet access. 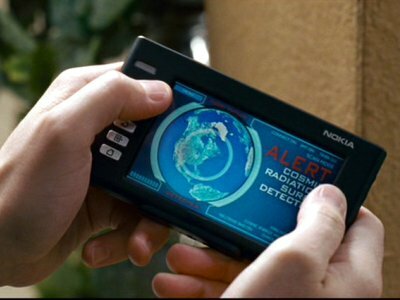 The bad guys have a 770 in the Hazmat vehicle in the chase towards the end of the film. It is there! Look at the bottom right hand corner of the snapshot. 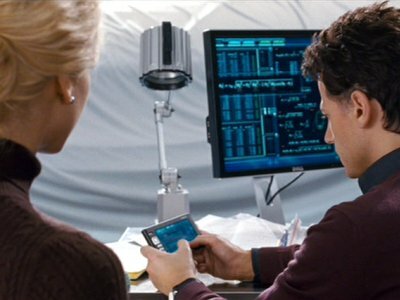 Dr Reed Richards (otherwise known as Mr Fantastic) uses his 770 throughout to control his many machines and gadgets. Alarms from the machine repeated interrupt his attempted weddings to Susan. 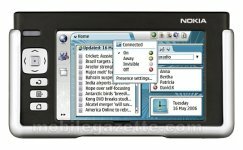 After escaping from Guantanamo Bay and returning to the USA, Harold and Kumar borrow a friend's car in which is a Nokia 770. 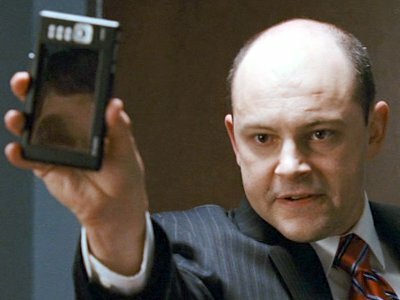 Kumar uses the device as a phone.